We question why are these mandates not known to the Muslim world? Why does the media avoid reporting these critical religious instructions? Any Muslim who violates these mandates is insulting Islam and insulting the Prophet Muhammad. Recently a Pakistani court Acquitted Asia Bibi, a Christian mother who was sentenced to death for Blasphemy. 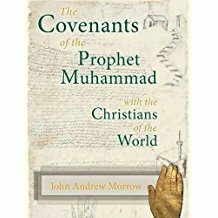 The Court cited Dr. Morrow's revelation of the Prophet Muhammad's Covenants of protection. 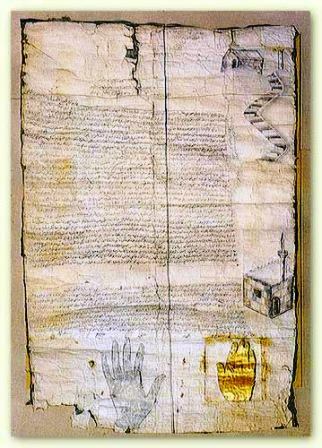 The images of these manuscripts are copies of covenants, which contain a picture of hand. 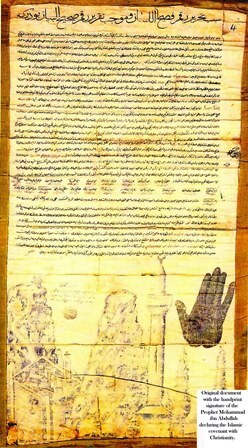 This image, plus original wax seals, shows that the originals were touched and approved by the Prophet Muhammad, Blessings and Peace be upon him. 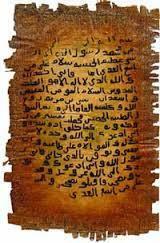 As authenticated primary documents which even predate the compilation of the Sunnah, these covenants carry the same legal authority as the Holy Qur'an. These covenants order the followers of the Prophet, Blessings and Peace be upon him, to protect peaceful Christians, Jews, and other allied communities until the end of days. They order that the churches and synagogues and Holy Shrines equally must be protected. They declare that Christians and Jews are believers in one God who form an integral part of the Muslim Ummah or Community. They are not infidels or non-believers. We want to warn all true Muslims who listen to the lies of these agents of Satan to repent if they wish to save their souls. Do not act on their evil demands, do not give them money or any support, shun them and denounce them if you truly wish to enter paradise. We urge to true believers to join us and sign the Covenant Initiative, to expose the evil doers who only bring international hatred and fear of Islam. Historical commentary of examples of mandatory Islamic tolerance. Do not foreseeably change a bishop of his bishopric, nor a monk of is monkhood, an anchorite from his cell (cave), or a hermit of his hermitic; and do not destroy nor sell any patrimony of their churches. Do not utilize anything (capital or materials) from church construction into the construction of a mosque or that of the homes of Muslims. He who does something like that, has broken the covenant of God and has violated his Messenger. 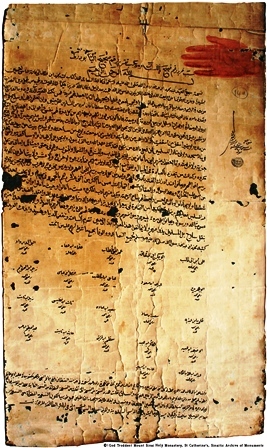 Jizya (a fine tribute) or penalty is not to be taken from monks, bishops or worshipers, and I preserve their pact wherever they are on land or sea, East or West, North or South. 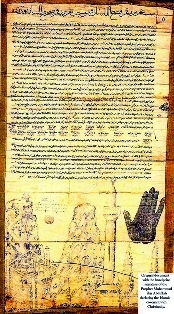 They are in my conscience and charter, and protection from all evil. Do not argue with them except in a way that is best, have mercy on them, and protect them from hated harm wherever they are and wherever they go. Assist in reconstruct (patch, remodel) their churches and monasteries, and this would be as aid to them in their religion and for their commitment to the covenant. 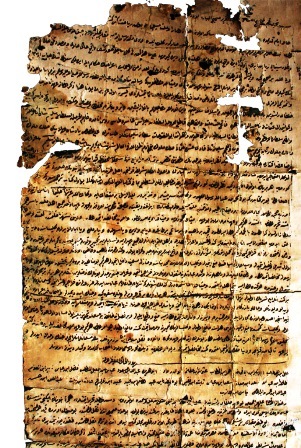 Ali bin Abi Taleb wrote this covenant with his handwriting in the Prophet’s Mosque, and witnessed this covenant the Companions of the Messenger of God, peace be upon him. Meaning: bring the good news to the believers a warner to the disbelievers. Capital letters used in Mighty and Wise because these are some of the many synonyms for the word God in Islam. “hermit of his hermitic” is the closest translation to سايح من سياحته. The verbatim translation for سايح is tourist. However, the author was not referring to our current day tourist and tourism; he refers to a spiritual ranking in the Coptic Orthodox church that can only be achieved through prayer, fasting, and being in hermit. When one reaches the level “ tourist” in the Coptic Orthodox church, it means that he can travel from point A to point B without using transportation and he can enter a building without having to go through the doors or window. Jezya: is a fee that was paid by non-Muslim men to Muslims for protection. Women, children, and elders were exempt from paying it.